Congratulations! You are 58% faster than the average adult reader! I can be a real slow-poke when it comes to reading, I have to admit that. What it takes some people to read in two days I usually complete in a week! 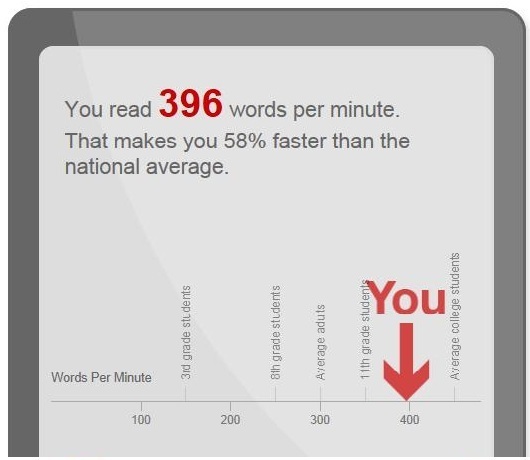 It’s a habit I’m not very happy with, so I was really glad I can across this neat ‘Speed Reading Test’ from Staples that lets you know how quick you are compared to the average reader… and how you square up with the world’s fastest word scanner, a lady with an astonishing 4’700 words per min. record! I may not be as fast as her, but I realise I’m not as bad as I thought either. If you wish to take the test yourself then click on the image below. 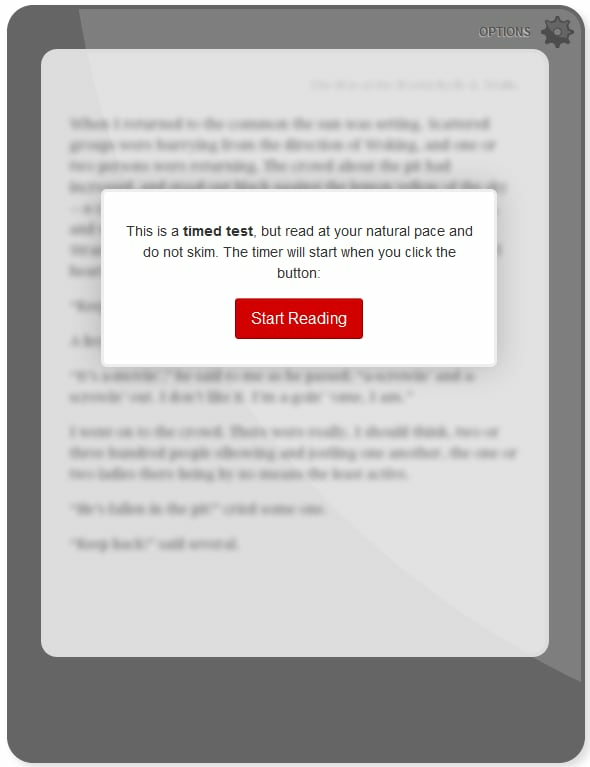 You will be prompted to read a short piece and then have to answer three questions to check you’ve actually read it. Simples! Hmm, maybe I should have timed myself with ‘Lord of the Flies’! I’m quite surprised that it says I can complete it in 2 hours. I’m pretty sure I’ve taken over 2 hours to get to chapter 3! Anyways… Maybe this little test will help me pick up speed a little as I feel more confident for tomes like ‘The Fountainhead’! Take the test and post your results. How fast can you read?? You might be surprised. I don’t want to write too much and spoil the perfection of the following letter that is addressed to aspiring writers. If anyone has looked for a mentor to guide them along this lonely road of letters, then I give them John Steinbeck’s inspirational texts. Here’s a man who trod the path, understood what writing was ‘really’ about, and managed to convey it in ways that us beginners could understand. I remember one last piece of advice given me. It was during the exuberance of the rich and frantic ’20s, and I was going out into that world to try to be a writer. One of the most poignant parts of the novel, the Tractor Man. I love how Steinbeck talks about blessings and curses. This part almost made me weep. There is a timelessness to it, such beautiful imagery. 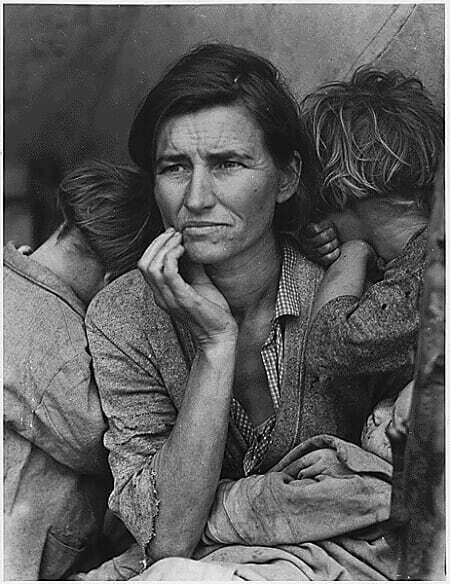 ‘The Grapes of Wrath’ is a powerful novel set during the Great Depression, when famine, poverty and changes in agriculture caused thousands of farming families to migrate from Oklahoma to California. The novel tells of the hardships of the Joad family, and their paper-thin hope of a better life in California. This bleak story takes the reader on a journey that spirals deeper and deeper into disappointment and hopelessness. Steinbeck’s novel is an illuminating and vivid account of the people of the dustbowl and tells the painful truth about the class divide that caused so many of them to die of hunger. The novel won the Pulitzer prize in 1940 and was highly praised by President Roosevelt and his wife Eleanor despite being vilified by politicians and Californian officials. It was even publicly banned and burned by citizen’s because it was seen as ‘communist propaganda’. Steinbeck travelled widely and observed the migration first-hand to get a true understanding of what was really happening during the Great Depression. ‘The Grapes of Wrath’ is unique and timeless because it steers the focus away from the political scene. Instead Steinbeck writes from the perspective of the migrants, showing us the human face of the suffering, not the statistics and reports. The novel is not only a portrayal of the US government’s betrayal of its people, but is also a commentary on the many different ways humanity subsequently became divorced from mother nature. Taken from ‘Working Days’ (The Journal of John Steinbeck), entry June 18th 1938. This was written by Steinbeck just 3 weeks into the novel ‘The Grapes of Wrath’. Not only do his words display an endearing vulnerability, but also double up as pearls of wisdom that throw a light into the psychological preparations, tribulations and confrontations a working novelist must encounter with every work he or she produces. Here he describes the ghost that ceaselessly haunts all authors, that is, the terrible fear that this time they may not be good enough. 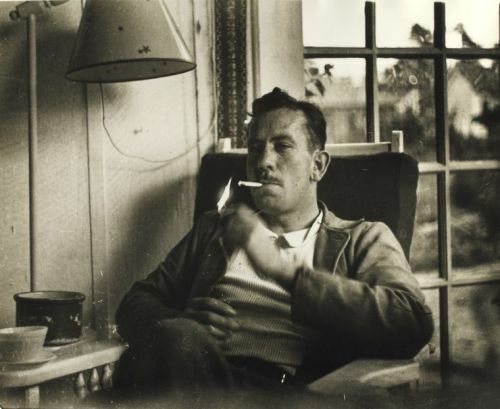 Steinbeck’s honesty is definitely a virtue that shines through in his writing. He is a very ‘human’ writer, and ‘Grapes of Wrath’ can be called his most startling work about a distinctive period in American history; one where the sufferers had no voice. One one thinks of Steinbeck, we think of migrant workers, Salinas and the California dust-bowls. His name has become synonymous with that period of American history, mainly because he saw and wrote things from a workers’ point of view. He has preserved its particular lingua with his excellent ear for rustic conversation. When all is said and done, reflecting honesty is sometimes the only true goal a writer can have to fall back on. This was one of the books on the 1001 Book list, and I would like to give this one 3.5 really, purely for the way it always caught me out with its fresh, often razor-sharp imagery of the warped human mind. The mind in question is none other than Chief Bromden, the supposedly deaf and mute narrator. Bromden’s spectacular hallucinations alone should be reason enough for anyone to pick up this book and read it. They are quite unique, disturbing, and often (to my alarm) actually made sense on some level. Suffice it to say, they cut through the narrative like… well… like electric shock therapy! All the way through, it made me wonder if Kesey was writing from experience. The introduction to this edition was particularly enlightening, as it gave a lot of background information on Kesey’s involvement with drug testing during the 1960’s. Maybe he actually saw similar things when he was a volunteer during these sessions. As hard as it was to actually get into this novel, I have come to believe that this is a must-read for those interested in psychiatric care. It’s inspirational and questions that fine (often too fine) line between sanity and real madness. Kesey made me reflect on just who really WERE the psychos in the novel – the staff or the inmates? This took me much longer to read than I had anticipated, but I think I can say it was worth it. It’s one of those books that look good when you can claim to have read it. If you haven’t read the introduction to ‘The Grapes of Wrath’, then I suggest you do. It’s filled with very important facts on how the novel came to be written. Everything seemed to be sparked by a moment of inspiration, the genesis of it was driven purely by the need to chase down and live to the very core of this unique event. The mere thought of writing a 200’000 word manuscript in just over 100 days is an incredible feat. More amazingly, almost every word he wrote was published exactly as he wrote it. No wonder I love his writing so much. It’s raw and it comes from the heart. True novelists write about what they know, what they’ve lived. They aren’t afraid to have life show through the bones of their work.